The first black hole image seemingly confirmed the appearance of Gargantua, the iconic black hole showed in Christopher Nolan’s iconic space odyssey, Interstellar. Interstellar is possibly one of the most gorgeous space epics of all time. The cinematic genius of Christopher Nolan produced an intriguing psychological and engineering journey, giving us a glimpse of a cinematic representation of a black hole — the dying star, Gargantua. Pleasantly, a report published by Gizmodo has revealed a piece of detail from the movie — its portrayal of the black hole was actually strikingly close to the reality. 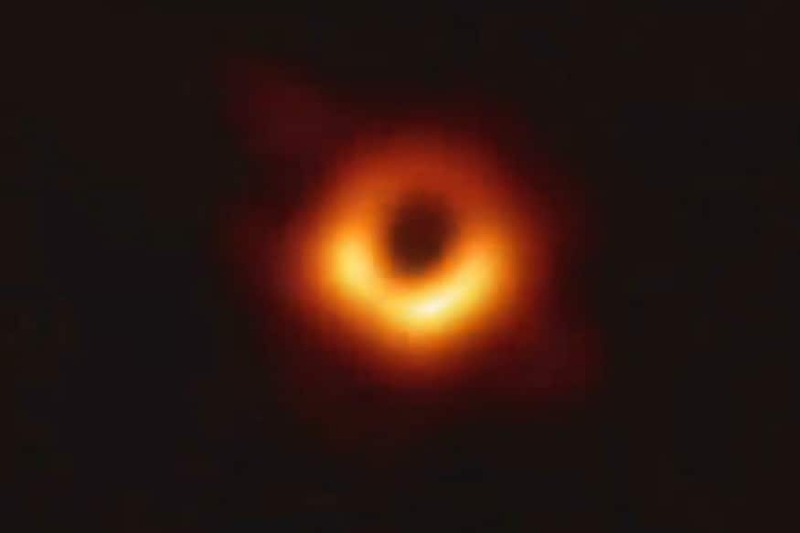 Coming on the back of the first ever black hole image shared by the Event Horizon Telescope’s team of scientists, it is quite a feat of scientific accuracy, and the scientific facts mentioned in it are equally amazing. According to the report, Gargantua in Interstellar is an incredibly close representation of an actual black hole, and while it does seem quite different from the reconstructed image of the M87 black hole that we saw yesterday, the two are quite similar in multiple ways. To understand this, it is first important to understand a major point of difference — the black hole from Interstellar had a thin strip of light matter around its middle, in appearance similar to how rings around a planet looks like. Furthermore, Gargantua in Interstellar had a more prominent, definite photon circle, while the light in the image stitched together by the Event Horizon Telescope (EHT) has a fainter print. Interstellar also portrayed a more uniform light circle around the black hole, while the real black hole’s image shows irregularity in the photon circle around it. For the first point of difference, the main reason is that while we got a frontal view of the black hole in Interstellar, the M87 black hole was viewed by us from close to its poles. As a result, the strip of matter across the centre of the black hole that we observed in a galaxy that is not too far, far away appeared in the extended light circle surrounding the centre of the black hole. The tilted angle at its poles where we observed the black hole also explain the irregularity in the photon circle that can be seen around the dying star. As a result, the strip of light matter streaking through the centre of Gargantua is quite close to factual accuracy, absolute confirmation of which we shall find in the coming months, with continued observation of it and the Sagittarius-A black hole, by the EHT. Furthermore, the real image of the black hole shows different intensities of light around its top-left edge, with a brighter crescent towards the bottom-right. The explanation for this is that while this supermassive black hole is collapsing, it is also spinning. As a result, the light around it would be spinning, with spacetime warping around it. As a result, there are two parts of the spin — one, where light is speeding towards us, and the other, where light is being thrown in a direction opposite to us. This explains the optical difference in the real image, since the spin creates a significant difference in the amount of time that the two light sources take to travel to Earth. In Interstellar, this one detail was not included, because cinematically speaking, we were looking at the black hole at a much closer distance, in comparison to what we saw from Earth. Because of this, light will have taken much lesser distance to travel from source to point of incidence. Furthermore, the intensity of light would be much, much higher at closer quarters. Because of this, the appearance of the photon ring around the black hole would look fairly uniform if you were to, hypothetically take a straight-up look at it from up close. This, of course, is taking into account if you manage to resist forces that lead to light bending in with such immense gravitational pull. As a result, while the black hole image of the M87’s dying star is the absolute reality, it appears that the cinematic representation of one, roughly four years before we caught our first glimpse of an actual dying star, was rather close to reality. Of course, there were certain discrepancies such as incidental light properties and the way it behaves in space, in comparison to what was shown on screen, but for the large part, Nolan’s bit of scientific research work around black holes was very, very close to reality.